So I’ve been covering press release writing with the latest batch of Taylor Bennett Foundation trainees in recent weeks, which has prompted me to dig out my ‘ten tips’ for writing the perfect press release. Some of this has a music bias, being in part based on a CMU survey of music journalists a few years back and my CMU Insights training course on music PR. But most of this is applies whatever the client or product, and whatever the media being targeted. 1. Get to the point, fast. This is probably my biggest gripe. Before you write your press release, ask yourself “what is the news story here?” Why is what you are press releasing newsworthy today, and not yesterday or tomorrow? And make sure this is bleedin obvious in the subject line of the email, and the strapline and first paragraph of the actual release. This is especially important if you are looking for news coverage, obviously. But even if your release is seeking review or feature coverage, be clear about what is new about your product, person or company at the outset. You can give your release a snappy slightly ambiguous headline if you like, but the strapline and first paragraph should be factual and to the point. And use an edited version of your strapline, not the ambiguous headline, or generic titles like ‘Press Release’, as your email subject line. Most journalists will only open a fraction of the press release emails they receive – many more releases will go unread than read – and whether yours is opened depends on your email subject line. Pretty much the entire news story you are telling should be covered in the first paragraph of the release, with perhaps a second paragraph of directly relevant background information. Be a tabloid journalist, and try and make sure you cover the six questions words – what, when, where, who, why, how? – in that first paragraph (well, the ones that are relevant anyway). 2. Adopt a neutral style. This particularly bugged many of the music journalists we surveyed. I think music PRs are particularly prone to hyperbole – “best thing since the Beatles” – that kind of thing. Keep the OTT adjectives to the minimum and make any descriptions of your product or service or event or company as factual as possible. 3. Include a named quote. Never send out a press release without a quote credited to someone involved in your organisation. You can’t believe how much more likely your press release is to be used if only you provide a quote. It makes it look like I, the resource strapped journalist, got on the phone or attended some kind of important press conference. I like that. Though please make sure quotes are grammatically correct, I’m bored fixing them. Even if your release is really angling for a review – as many entertainment PR releases will be – it is still worth including a quote, because increasingly these days news stories are as important as reviews, and will reach a wider online audience, and a simple quote can turn a product release angling for a review into a news story. For music releases, the quote could come from the artist, or from an A&R at the label releasing the record, saying how excited they are to bring this new song or album to the world. 4. Present lists as a list (not a table, and avoid tabs if possible). First up, don’t provide a paragraph of prose running through your list of facts with description and comment. The journalist will write the prose, and they need quick, easy access to the full list of facts to make that possible. Some publications may also publish your list in full as you provided it, hence why tables and tabs are a no-go – think, how easy is it for the journalist to cut and paste my facts into their Word file? 5. Push anything but the core information into ‘notes for editors’. Background information – biogs, product information, useful stats – are all good, and may be used by journalists to flesh out their article, but put this is a separate section at the bottom of the release, after the quote and contact information. Make notes to editors like a Wikipedia entry, all bullet points and short sentences. 6. Always include a photo (or maybe a link to one). A photo of your product, or any people involved, or the person you’ve quoted, or your logo, or preferably all of these, should be available. Don’t send much more than a mega-byte worth of photos attached to an email, but you can provide links to a web page where lots of photos are available. I have ten tips just about photos, which I might blog about one day. 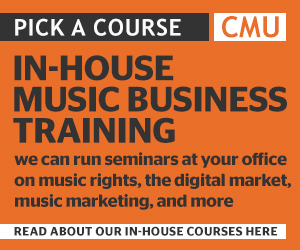 In the meantime you’ll have to come to my music PR training course to find out what they are! 7. Keep layout simple and image-lite. Journalists like words, and stories, that’s their trade. Nice pictures and layout never ever sold a news story to me, and pretty much every journalist I’ve ever spoken to has concurred on this. Spending hours (or even minutes) inserting logos and images and complicated layout is a total waste of your time, and can actually be counterproductive. 8. Think about what format you’ll provide it in – NOT PDF! This links in with seven, keep it simple. I’d include the release as text in the body of an email, and attach it as a Word file, and let the journalists choose which they’d rather use. Never send it as a PDF. If I am going to write about your product I want to cut and paste your words into my file as source material for my article. Cutting and pasting from a PDF, especially one with lots of layout and pictures, is a nightmare. I routinely kick things off my always-longer-than-it-needs-to-be news story list because the source press release is a PDF. 9. Always include a date, and make any embargo very clear. Best practice is that you always include the date the press release was issued at the top of the page, so I know exactly when the facts contained within are newsworthy. The exception to this rule might be a product release which contains the all important date that the product first goes on sale, so that there is no confusion between the date the release is issued, and the date the product is released (it doesn’t help that we call both those things the ‘release date’!). Whatever, make dates very clear. As for embargoes – requesting I don’t write about something until a prescribed time – preferably don’t use them. But if you have too, make sure the line that says embargo at the top is freaking huge. And then resend the release once the embargo has passed with the embargo line removed. 10. Make sure contact information is correct. This is stating the bleeding obvious I know, but you’d be surprised. Also, the day you send out the release, don’t then have everybody who knows anything about the project out of the office for 48 hours. And don’t have an out of office reply that tells me to speak to someone else who is also out of the office. It’s happened. So there you have it. A journalist’s view on what makes the perfect press release. I look forward to all the perfect press releases I will now be receiving. I’ll try my best to only write perfect news stories from this point onwards too. Honest.